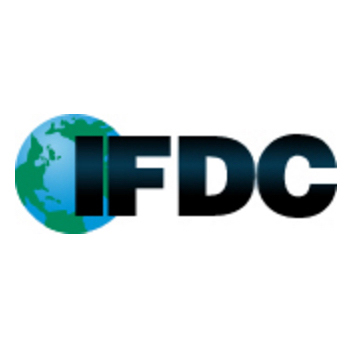 This article was originally published on the web site of IFDC - International Fertilizer Development Center. This Plug & Play Day, the third of its kind, will showcase a range of ICTs/mobile platforms developed and implemented to manage market information systems (MIS), especially for data collection, processing, analysis and dissemination as well as to manage agribusiness activities such as tracking field activities, vouchers systems, subsidy programs, etc. Instead of the traditional one full-day demonstration, this Plug & Play Day will be conducted for a few hours during two of the conference days to integrate theories with practice. and policymakers to understand and explore areas for action. The event will provide valuable and practical insight into new technologies and hands-on experience with demonstrations by prestigious application providers and experienced practitioners. Selected platforms closely parallel the broader theme of the training workshop and are well tailored to the needs of all stakeholder groups. Participants will “test-drive” the latest mobile applications, electronic warehousing systems and other technologies, and discover how they are able to make these tools work for them in their agricultural activities. The sessions are designed to allow demonstrators to share their skills and expertise in an interactive format, interact with participants who may be interested in these tools, and enable participants to have a hands-on experience. The Plug & Play Day is organised by CTA during the training workshop, Agricultural Market Information Systems and ICT Platforms for Business Management Across the Value Chain, in Arusha, Tanzania, in collaboration with IFDC and EAGC. 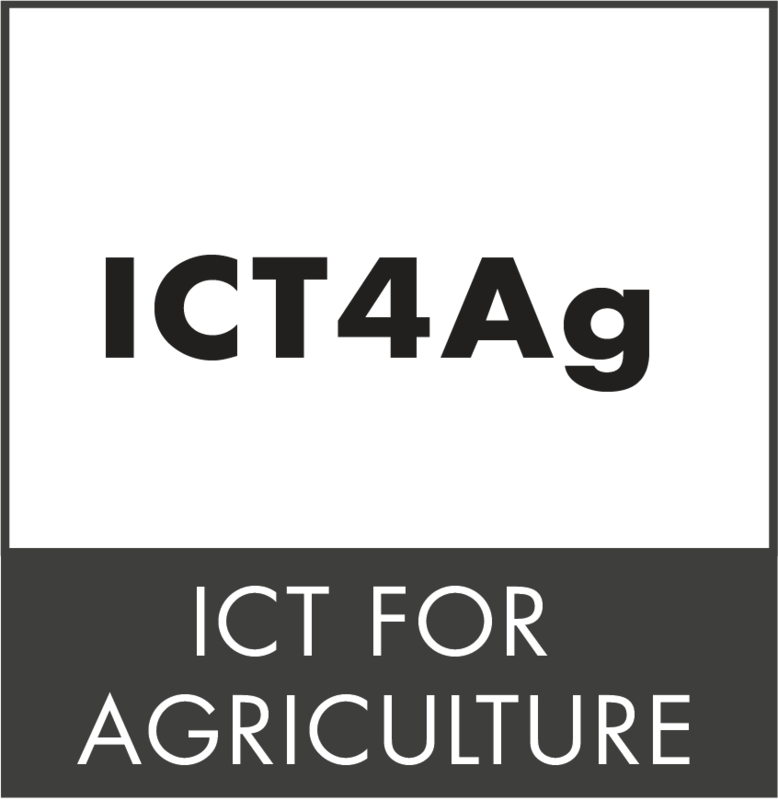 The event builds upon past experiences in showcasing the potentials of the new ICTs to support agricultural value chain activities. Agrilife is cloud technology and has been developed as an agri-platform to facilitate linkages of smallholder farmers in groups with various service providers to have their needs met. To activate this, the data of the farmers is critical and forms their registration, and different parameters are considered depending with the value chain. The service providers will be registered too. The utilization of this data to generate agribusiness sustains Agrilife from the commissions earned by Mobipay from the service providers on per transaction mode. Using computers, smart phones or simple java-based mobile phones, the smallholder farmers are enabled to make requests and, via the Agrilife platform, their requests are approved, viewed by the service providers and services/goods provided. The farmers’ collateral is their produce. The channels used are applications which depend on internet connectivity or the USSD channel for farmers or service providers to interact. Excel spreadsheets are also used in exceptional situations and converted into encrypted format. Currently Agrilife is active in the dairy sector working with New KCC, a dairy processor which has presence across Kenya. Agrilife has also been deployed in Uganda (staple-food crops) and Zimbabwe (dairy sector). The payment is done in two ways: through a check-off model in which the farmer group deducts from its members to settle the service providers upon receiving produce proceeds. The other model is having financiers settle the service providers who invoice for what they have delivered; it’s approved by the farmer group and financiers act. The financiers are then guaranteed by the group of settlement within a certain period. Either of the two models is activated in Agrilife and Mobipay earns a commission on monies disbursed on a per transaction basis. synchronizing digital weighing scales to the platform to allow farmers get paid on deliveries made. Agriculture is the known source of wealth by many, but the inverted pyramid that favors the producers is rarely seen in this sector. Octagon Data Systems Limited, the technology business of VACID Africa, seeks to promote incomes at the bottom of the pyramid. This focus, however, faces the same challenges that African agriculture is known for: smallholder, poor organizational framework, lack of investment, poor skills base to attract technology-driven interventions and hence no traction with youth. The Easyway was developed to address these challenges by making produce-weighing easy, aggregating both produce and data using digital scales and delivering accurate weights of produce to the processors; the data on production is used to process deliveries by producers and hence manage governance. This creates farmer organizations that now own the technology platforms and employ knowledge workers to seek better jobs through formalized organizational framework that has easily been evolved through such an Easyway. Some of the products currently supporting the implementation of Easyway include: Tea, Dairy, and Horticulture. The MIS features and functionality has been ported to utility management in water resource management – meter reading and billing. The solution is currently being ported to a cloud and uses hand held data terminals, mobile phones and weighing scales. The solution also captures digital weights on platform scales and weighbridges; it is used in multinational tea companies to compare what gets to the factory for processing and what the workers picked in the farms. E-PROD is a management tool for agribusinesses to organize farmers from recruitment until payment. It provides historic data for all farmers including loan history and management reports for decision-making processes. E-PROD has been successfully used since 2004 to manage out-growers within various areas in Kenya for different products including different product grades. The program is easy and efficient. Most steps are automated in order to avoid mistakes. For example, the system is currently used to manage 15,000 smallholder farmers growing chilies at the coast. One person is able to manage operations on the system for 5,000 farmers. E-PROD has helped this company build a trust relationship with the smallholder farmers. This has led to a comparative advantage toward other competitors. The agribusiness pays for the service. Cost is a flat fee of around 500-5,000 USD dependent on the amount of farmers. Esoko is one of Africa’s most powerful platforms to communicate with smallholder farmers. Developed over ten years in 14 countries, the Esoko product has a unique mix of applications, content, deployment and business models. On the one hand, Esoko offers a blended mix of messages to help farmers improve their yields and linkages to markets. This includes market prices, weather alerts, agricultural tips and bids/offers. All of these messages are customized to each individual farmer and delivered automatically via SMS or voice message (in some countries backed up via a live call center). Farmers pay directly through mobile money, or via airtime as part of a national farmer club. In addition to services for smallholders, Esoko has developed a powerful suite of applications for the businesses that serve those farmers. This includes two-way SMS polling for field monitoring, bulk SMS for promotions and reminders, Android forms for field surveys and household monitoring, inbound text message processing for customer service, extension applications for technical advice, and other features. All of this is available via the web or on an Android device, in any language, and available for any country. Farmerline is a social enterprise based in Ghana that has developed an innovative Market Information System (MIS) application that improves the livelihoods of rural farmers through communicating timely and locally specific market information and product pricing through voice and SMS messages. All messages are sent in local languages and delivered directly to the mobile phones of farmers. The MIS application supports small-scale farmers in the selling of their products by connecting them to big buyers and advertising their products on online marketplaces. Farmerline ensures that the content we send is timely, specific to the condition, rich of information, and easy to understand. This is achieved through partnerships with professional institutions such as the Ministry of Food and Agriculture, Ministry of Fisheries and Aquaculture Development, Crop Research Institute and the USAID Aquafish Innovation Lab, all of whom support Farmerline in the preparation of content for our messages. Since the launch of Farmerline in 2012, we have successfully reached over 4,000 small-scale farmers in rural Ghana. By 2024, we aim to serve over 2 million small-scale farmers working in emerging markets globally. mFarms is an integrated and customizable ICT platform designed to help stakeholders in agricultural value chain communicate with each other efficiently, establish and maintain business relationships and manage the flow of goods and services among them. It is designed to create operational efficiencies by allowing organizations, associations and identifiable groups to serve a large number of their members or affiliates dispersed over space. The platform consists of mobile applications (Java and Android and web applications). Among others, the platform has the following capabilities: production and purchase planning; verification of adherence to production techniques and schedules; broadcasting alerts and extension messages through text messages and interactive voice response services; and estimation of production cost. The mSurvey feature is designed to allow projects and organizations/institutions to conduct SMS surveys easily. The application uses an Android application to help relay the messages to the recipient, so that they can respond to the messages at local rates; the alternative is to use short code which is premium rated and costs the target group more to respond. The tool has been tested in several African countries. The system has an intuitive interface to produces quick reports, graphs and chart for all responses from a given survey. M-fodder (‘m’ stands for mobile or cellphone) is a smallholder livestock farmer-friendly hydroponic information system. The hydroponic system involves sprouting grass seeds in mineral solution rather than soil. The grass takes 7-10 days to reach around 45 cm high. Livestock keepers use their cellphone to order fodder 8 days in advance and have saved between €0.18-0.25 per day through this system. The innovation is still at a young stage and currently covers 200 livestock farmers in Kenya. M-fodder is among the top 20 smallholder innovations at CTA, Netherlands. The adoption rate is estimated to be 60-80%. Mr. Ochieng, a dairy farmer in Nakuru, Kenya, has testified that milk yields and consequently his profits have increased due to the availability of high nutrient fodder since he started using the M-fodder platform. The MIPAD android is an application for viewing prices of input and commodities from more than 17 African countries. This application is developed in close collaboration with AMITSA and other projects to manage data collection. The android application is targeted at SMEs and other business organizations within the value chain. The application also allows individuals or organization to use it to report on prices. The MIPAD platform also allows its users to view data on the web and broadcast it to relevant actors within the value chain via SMS and email. MIPAD is also a marketing information platform for agro-dealers. The platform has a module designed specifically for large institutions to track the supply and sales of fertilizer along the value chain from the manufacturer to the farmer. This will allow the institution to know exactly how much input has been sold, turnaround time of the product, receive orders and also report on any issues from trade. The module provides those in the input business, such as agro-input dealers/retailers, importers of fertilizers, agro-chemicals, and seed producers, to interact with the use of cell phones SMS and interactive voice responses services. It has a proven agribusiness solutions approach for input demand pooling process management and e-extension, which can enable leading input importers and their distributors to increase their turnover and operational effectiveness through process digitization while ensuring farmer compliance and productivity. Mobile Agribusiness (Mogribu) is a web and SMS mobile application that helps smallholder farmers decide when and how to plant crops, and how to select the best crops for a given location using climate and weather data; it then connects them to the available market in the Democratic Republic of Congo. It helps connect smallholder farmers to buyers, and helps them to obtain necessary information (e.g., weather, crop pricing) and aggregates from different sources and skills (e.g., how to plant crops, how to use fertilizers). The application is a web and SMS application and requires no technical knowledge to be used by smallholders farmers. Mobile Agribusiness (Mogribu) has been launched since October 2012, and currently has more than 600 registered users, among which 500 are smallholder farmers and 100 are registered customers. 400 of the 600 users are active users. Mobile Agribusiness is a unique solution in the Democratic Republic of Congo that helps smallholders participates in commercial supply chains by helping them to develop relationships with agribusinesses and to grow products that the market demands. Mobile Agribusiness is the only technology that combines three features that provide agriculture information, links buyers to the market and provides skills to smallholder farmers. The Pan Africa Exchange (PANEX) is an Africa-focused international derivative exchange “commodities exchange.” The exchange is an all-electronic marketplace. Featuring state-of-the-art technology, this FIX compliant system is comprised of a matching engine, order management system, brokerage platform, clearing member platform and the clearing house infrastructure. Additionally, an Electronic Warehouse Receipt (EWR) system supports commodities financing for small-scale farmers and traders. PANEX anchors an ecosystem of farmers, warehouse and logistics operators, brokers, traders and commercial banks which together form the total inputs necessary to support seamless local commodities price discovery in Africa, hedging and financing services. The platform combines MIS functionalities, price discovery, hedging, record keeping and financing services. As an exchange, price discovery occurs when buy and sell orders are matched from farmers, traders, processors or even speculators. During the price discovery process, default risk is managed, hence creating confidence for sellers and buyers. The buyers and sellers pay a small fee for each trade they execute on the platform. After a price discovery is reached, the price is then published on PANEX platform in real time and also distributed through several media including phone, radio, TV ticker tape and many other forms. PANEX is available on several platforms including web, mobile application (both Android and iPhone) and a Windows PC application. The EAGC RATIN market information system was initially developed in 2006. It was recently re-designed, upgraded and re-launched in 2012 in response to recommendations and user needs. The upgrade also took advantage of and benefited from recent developments in technology including mobile applications among others. The RATIN system has several components in its structure. First, there is the system itself consisting of an Internet-based database with data input, storage, processing, analysis, reporting and interactivity functionalities. Second is the field data collection which is undertaken by a network of border and market monitors who have been facilitated with a smart mobile phone loaded with a special application and is also GPS enabled. The EAGC RATIN enumerators are employed and compensated by EAGC. On a weekly basis, the RATIN editorial team prepares a market analysis report and circulates it to the EAGC members and stakeholders in the mailing list. RATIN has over sixteen (16) products which include daily market prices, daily cross-border trade flows, real-time warehouse stocks, regional food-balance sheets, parity prices, grain trade news updates, weekly market analysis reports, monthly cross-border reports, daily news updates, interactive maps and historical datasets, social media (Facebook and Twitter), Short Message Services (SMS), phone based service, website display and advertorial space. The RATIN system is used by a cross-section of market actors, from producers to traders, processors, financial institutions/banks, researchers and NGOs to national governments. RATIN is used by stakeholders for different uses. Rural eMarket is a Market Information System app targeting networks and groups of smallholder farmers and disadvantaged people in remote rural areas in Africa. The application is very light, quick and easy to deploy with a web-based interface, offering a multi-platform usability. It can be deployed anywhere in Africa where there is connectivity. Rural eMarket is different with its interface designed by a team of young Africans to ease access and usage by rural people. With Rural eMarket, navigation is simple and quick. Rural eMarket offers the possibilities to send offers and requests for products while online and users can consult the situation in the market (price, available products) and historical data before sending new requests or offers online. Rural eMarket screens can be easily integrated in any web application and flow of data from the application can be retrieved by an RSS reader offering the possibility to view some contents in another application or website. Rural eMarket has been designed by a non-profit organization and offers many business models to users, communities and/or organizations/networks. Tabremas was developed in 2014 as an assisting aid to agro-dealers in managing their business. Through our business surveys in trading with agro-dealers around the continent we found that they lacked simple easy to use and affordable management software to manage their business. The software has been designed keeping end users requirements in line and has been tried and tested with a number of agro-dealers in Tanzania and Zambia. The software can operate as a standalone system or alternatively as part of a group where transactions are uploaded into the cloud for statistical analysis when users are part of a specific program. In addition, the software holds all product data that might be needed by the agro-dealer,videos on best agricultural practices and contact databases for regulatory and expert advice. The farmer app was developed in July 2014 for farmers as well as Tabremas software users keeping field requirements in line. Through this technology users have the option to communicate directly with vendors, experts, and general inquiries hotlines on products, counterfeit seed and fertilizers, as well as general inquiries on crop management. We plan to link the users with produce buyers in the first quarter of 2015. Platform managers can also send “patches” of data out to users such as special offers, product details, rain patterns, queries, among others. Implementation is ongoing in Tanzania, Zambia and Zanzibar and soon in Kenya, Mozambique and Malawi through our current distribution outlets. tech4farmers develops inclusive and sustainable agricultural value chains by leveraging innovative uses of ICTs and mobile phones. Off-takers, farmers, warehouse operators, processors, rural financial service providers and transporters can use the online commodity exchange with currently 30 active users and 1,500 registered users. Last mile access for rural farmers is provided through SMS/USSD mechanisms and field partners. The platform helps to reduce operational and transactional costs for off-takers, minimizes side-selling, and improves produce traceability and transparency in the value chain. Through the Ministry of Trade, Industry and Cooperatives, Ministry of Agriculture, Animal Industry and Fisheries of the Government of Uganda, tech4farmers is implementing an initiative for produce bulking and warehouse receipt financing for 5,159 farmer cooperatives. Rice is the second most important cereal crop after maize in terms of production volumes according to UNDP Uganda. With an off-taker based in Jinja district, tech4farmers is targeting 4,952 rice growers from the districts of Namutumba, Iganga, Bulambuli, Mbale and Manafa, mostly smallholders engaging in rice production for income generation with some of the harvests being retained for household consumption. Most of the existing platforms focus on market pricing, and tech4farmers is working on collateral services such as an electronic warehouse receipt system and an electronic commodity exchange with payments facilitated through rural friendly mobile money solutions. The TAP service uses the latest mobile technology to connect online and offline farmers to their local agricultural dealers. TAP has recently been used in collaboration with IFDC in Nigeria, for the registration of farmers in remote rural areas, and the subsequent distribution and redemption of vouchers for agricultural input subsidies. This was supported by daily reconciliation and reporting, available through the TAP Back Office, with even the most remote transactions being available at the Back Office within 48 hours, through the mechanism of the TAP technology. This was the first pilot for TAP, and during it we registered around 500,000 farmers and distributed subsidies in excess of US $19 million. Apart from its ability to operate far away from mobile networks, TAP also scores through the speed of registration (around three minutes) and voucher redemption (less than a minute). At the height of the registration process, TAP and the IFDC teams were registering in excess of 10,000 farmers per day.